Vice President, General Counsel and Secretary, DaVita Inc.
Joseph Schohl is the Chairman and Founder of GeneralCounselWest, PC, and has nearly 25 years of experience in providing healthcare companies with strategic legal advice to help them grow. He regularly serves as the general counsel for private-equity backed emerging companies as well as providing services to healthcare companies of all sizes in the areas of health plan and physician contracting, mergers and acquisitions, corporate and healthcare compliance, and dispute resolution. Joe previously served as Vice President, General Counsel and Secretary of DaVita Inc., a leading health care provider focused on dialysis services and education for patients with chronic kidney failure and end stage renal disease. At DaVita, he was responsible for all legal affairs of the company, overseeing a department of approximately 65 teammates, including 20 attorneys, located across the U.S. Under Joe’s leadership, DaVita’s law department won Inside Counsel magazine’s IC-10 award, recognizing it as one of the ten most innovative legal departments in the country. Prior to joining DaVita in 2004, Joe was corporate counsel at Baxter Healthcare since 1998, where he rotated through several areas of legal responsibility, including securities law, mergers and acquisitions and business unit general counsel. In private practice, Joe was a senior associate in the corporate and securities group at Sidley Austin LLP, a global law firm with approximately 2000 lawyers in 20 cities worldwide. Based in Chicago, he advised on numerous complex mergers and acquisitions and capital-raising transactions. 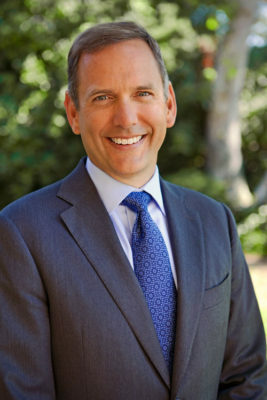 Joe began his legal career in the corporate practice at Milbank Tweed Hadley & McCloy LLP, a preeminent international financial services law firm, representing middle-market companies in initial public offerings, mergers and acquisitions and general corporate matters out of the firm’s Los Angeles office. Joe graduated Phi Beta Kappa from the University of Illinois, with a Bachelor of Arts in Finance. He earned his Juris Doctor from Columbia University School of Law, where he was a Harlan Fiske Stone Scholar. He also earned an MBA Degree with Distinction from the Kellogg School of Management at Northwestern University, where he received the Jane Robertson Memorial Award for Academic Excellence and graduated first in his class. Joe previously taught business law at the Graziadio School of Business and Management at Pepperdine University. He is a former board member of the Association of Corporate Counsel’s Southern California chapter, and served as its treasurer and as chairman of its sponsorship committee. Joe is also member of the Editorial Review Board of the Graziadio Business Report, a journal of relevant business information and analysis. At the center of his life are his wife and four daughters. He is also active in his local parish and enjoys trail running, swimming and cycling. Joe is admitted to practice in California, Illinois (inactive) and New Hampshire (inactive).